Over Fall break I had the opportunity to return to the campaign I had spent much of my Summer working on. Upon returning to work for the Indiana Democratic Party Coordinate Campaign I was able to see that a lot had changed, but much still remained the same. The grassroots-driven effort to elect Democrats up and down the ballot remained unchanged, how the campaign went about achieving that had changed. Over the Summer, most voters were either uninterested or even unaware of upcoming elections and candidates that would appear on the ballot. By mid-October that no longer was the case. To the frustration of the campaign and myself, some people remained uninterested in partaking in the electoral process. 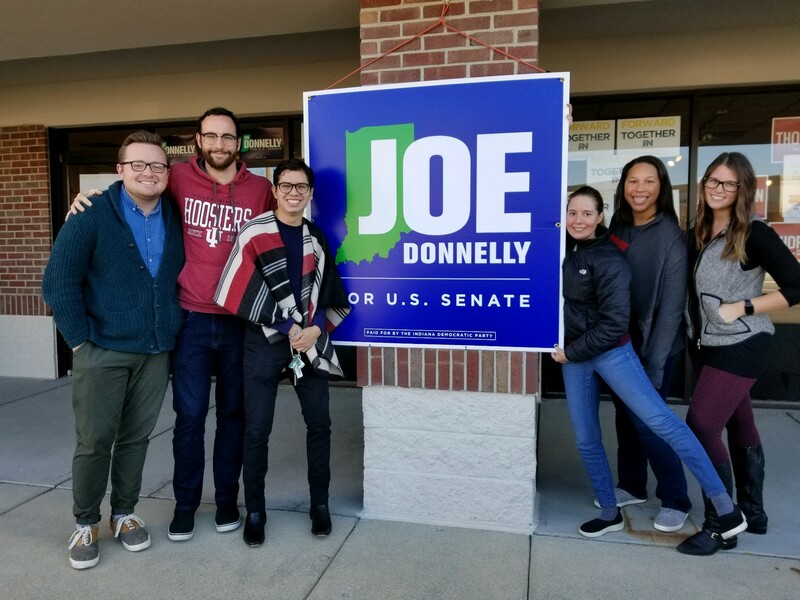 However, everyone was at least aware of the upcoming midterm election, especially when it came to the competitive Senate race between Democrat Joe Donnelly and Republican Mike Braun. And unlike the Summer, not only were voters more engaged, but their preference had been cemented. The undecided voter was a thing of the past. 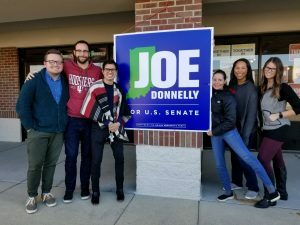 The Coordinated campaign was well-aware and consequently shifted its priorities from persuading voters to making sure Donnelly supporters voted. Canvassing and phone banking was still the backbone of the campaign. The difference was the target audience. Some of the challenges that I encountered during the Summer evaporated as the election approached. For example, knocking on the door or making a phone call to a partisan Republican voter was no longer an issue. Since the pool of voters being contacted had shrunk, the efficiency of voter contact dramatically went up. Every voter contact had either been ranked as a strong Donnelly supporter or at least leaning his way. The heightened voter interest in the election was not surprising, but I was shocked to learn how informed the electorate was. Voter contact was essentially composed of informing voters of their options to vote and how and when to do so. Much to my surprise, I rarely had to convey such information. The vast majority of voters were well aware of how to vote and many had already established a plan to vote. The number of informed voters did cause a somewhat unresolvable challenge of its own. Volunteers and organizers were spending time contacting voters who did not really need to be contacted as they were keen on the electoral process. However, it is difficult to distinguish which voters need to be informed of their voting options and which ones did not. Nevertheless, I went in hoping to inform voters and increase voter turnout. After knocking on dozens of doors and making even more phone calls, I feel I achieved my goal. Similar to my Summer job requirements, I was tasked with recruiting volunteers. A large majority of voters intended to vote but had no intention to help out in any other way usually as a result of time constraints. While that had not changed in a month’s span, the number of people willing and eager to help did increase substantially. Being in the office it was not hard to see the difference — volunteers were at the office ready to help out at all hours. Amongst them was an array of individuals from longtime Democratic activists to mothers concerned about the current political atmosphere who would come in with their children to the campaign. In my opinion, the get out the vote stage is the most crucial part of a campaign. It is of no benefit to spend hours persuading voters to support a candidate if they don’t actually cast their vote in November. While I encourage citizens to be involved at all moments of a campaign, I would most advocate for them to help out during the crucial last moments of the campaign. A commonality of prospective volunteers was their apprehension to helping out. Many wanted to help out and felt it was important to do so, but were understandably nervous to do so. From my experience, campaigns are well aware of this and go out of their way to train volunteers and work with them on a one-on-one basis. I would strongly encourage anyone who interested in getting involved in politics to reach out to a local campaign. More likely than not there are other first time volunteers interested and every volunteer makes a big difference.